Well hello there! As I am currently freezing my bits off in Germany (-9 degrees earlier this week! 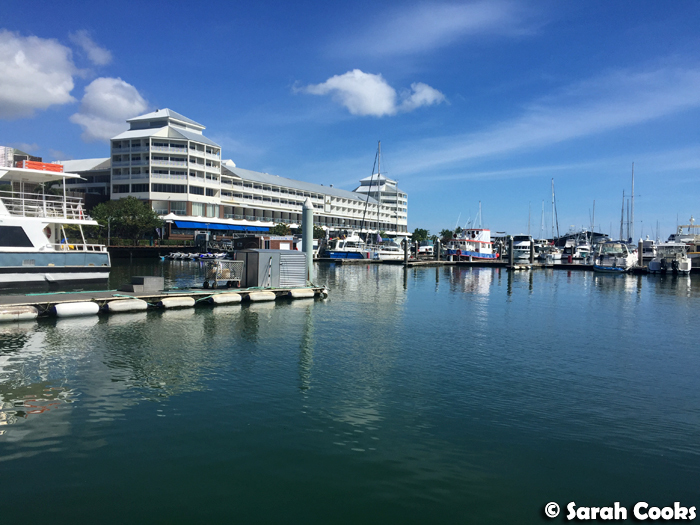 ), what better time than now to look back on our sunny Cairns holiday! Lots of photos in today's post. 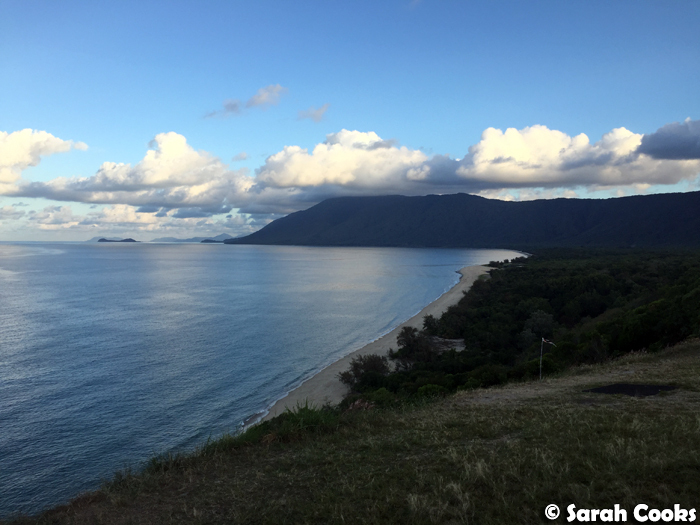 Back in October we took a little 4-night trip to Cairns - it was over the Football Grand Final weekend (that's a public holiday in Melbourne dontcha know), so we only had to take one day off work, but it still felt like a proper holiday. Woo-hoo! We managed to squeeze quite a lot into the short trip, so I'm splitting up the posts into "Sightseeing and Activities", and "Food". Today, sightseeing and activities! 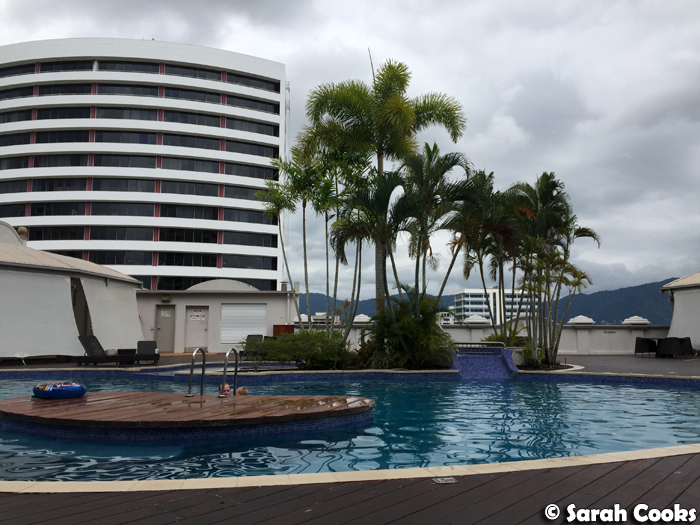 We stayed at the Pullman International, which was conveniently located walking distance from the Reef Fleet Terminal, and Cairns city centre, with lots of restaurants and shopping nearby. I'm glad we chose this hotel - during our trip, we came across some other hotels that were a bit old or rundown, but the Pullman International was exactly what we wanted. It was nice and quiet, the staff were friendly, the rooms were comfortable, and the foyer was very impressive. 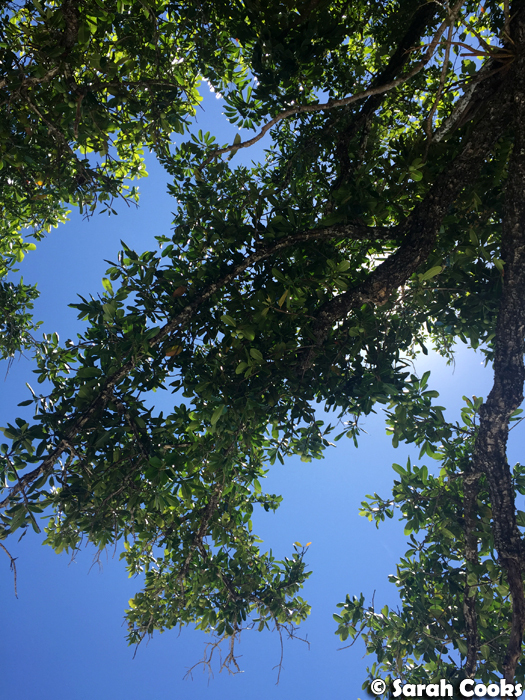 It was lovely coming back to relax in air-conditioned comfort after big days exploring hot and humid Far North Queensland! (I'll tell you more about the food at the Pullman in my next Cairns post). One day, I splashed out on a relaxation massage at the in-house spa, Vie Spa. The treatment was great, and I loved that the post-treatment refreshment included a little scoop of delicious watermelon sorbet! In terms of sightseeing, a must was a visit to the Great Barrier Reef. Of course. We took a full-day tour with Seastar Cruises. We purposely picked this one as it was a smaller cruise, and it turned out to be a great choice! (In her pre-trip research, Sandra had seen lots of cruises that take huge groups to the major sights, which didn't seem appealing at all). The Seastar cruise took a small group of visitors, with lots of really knowledgeable and enthusiastic staff. 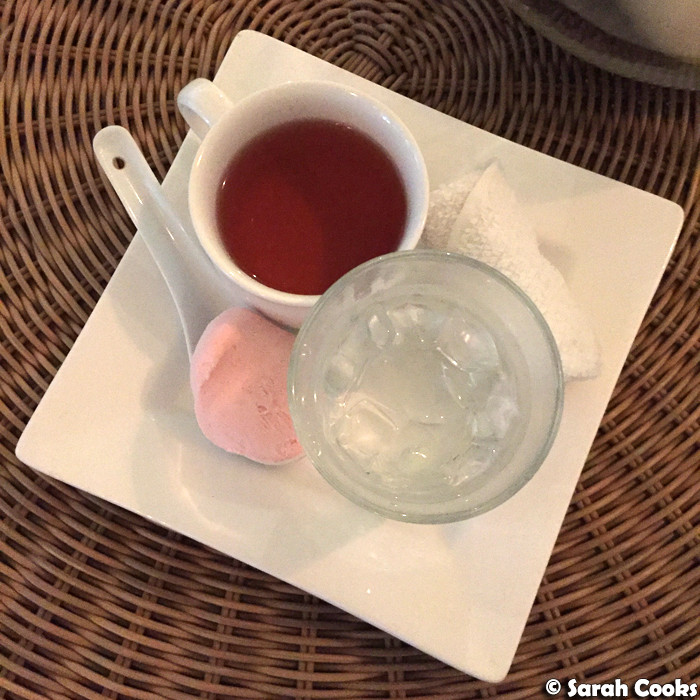 Everything we needed was included - guided tours; snorkelling gear and wetsuits; the option to do a beginners scuba dive; a good lunch, coffee; tea and afternoon tea. 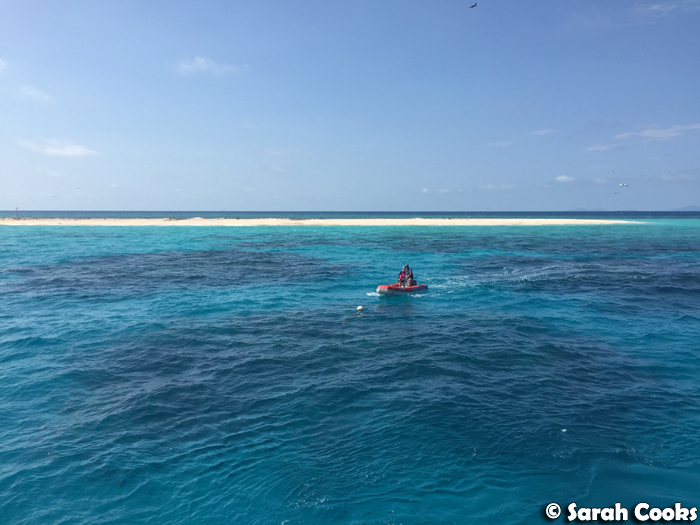 We went to Michelmas Cay and Hastings Reef (both gorgeous! 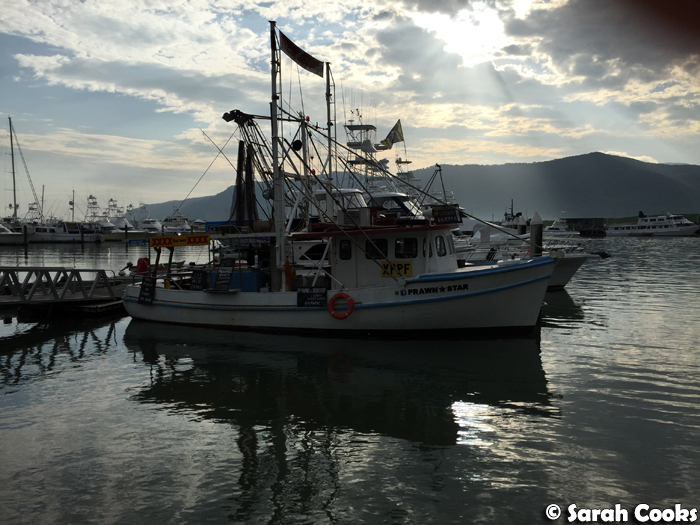 ), and we saw heaps of great wildlife, including a sea turtle, lots of coral, fish, and (my favourite) giant clams! I definitely recommend these guys! If you'd like to see some of the underwater fun and beautiful reef, check out this video that Sandra made. She bought a Go-Pro for the trip, and put together this great video with the footage that she took! 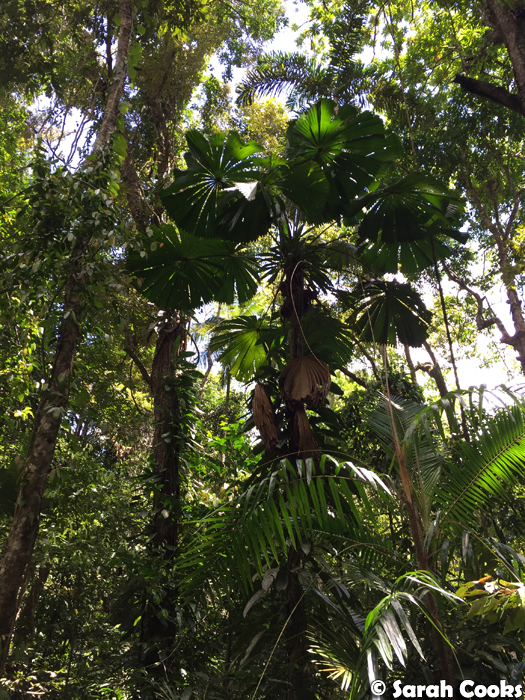 On another day, we did a rather epic Daintree Rainforest Tour, with Billy Tea Safaris. Like Seastar Cruises, Billy Tea Safaris is eco-focused, and do smaller tours, with a maximum of sixteen passengers per vehicle. (From memory, there were only eight in our group). 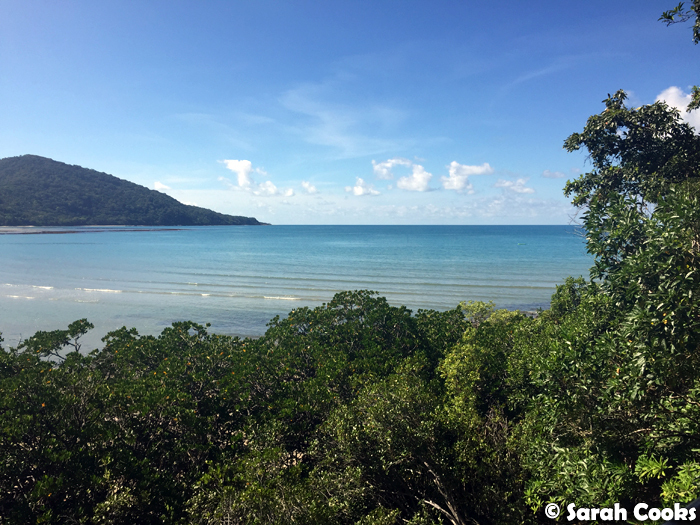 We were picked up at 6:50am, and spent the day travelling through Port Douglas up to the Daintree region. 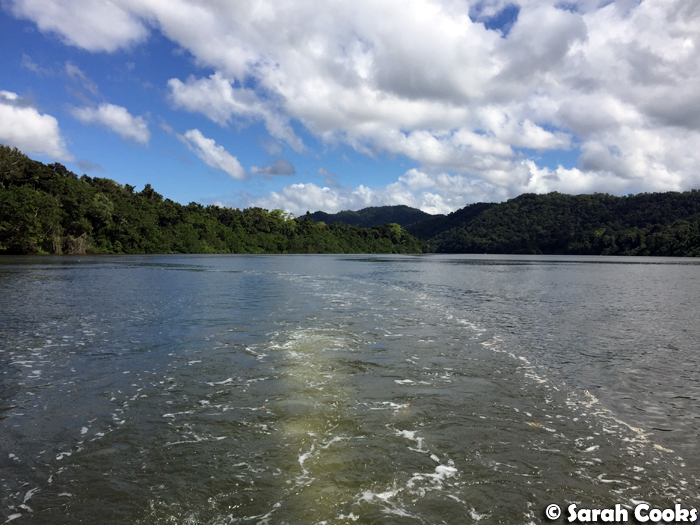 The tour included a crocodile cruise on the Daintree River, a guided walk through the Daintree Rainforest, a big barbecue lunch, a swim in a fresh water creek, a visit to Cape Tribulation, plus lots of stops along the way for photos at some beautiful look-out points! We returned to Cairns, exhausted, at around 7:30pm. There were lots of other inclusions too - see their website for more details. Emmogen Creek - we swam here! 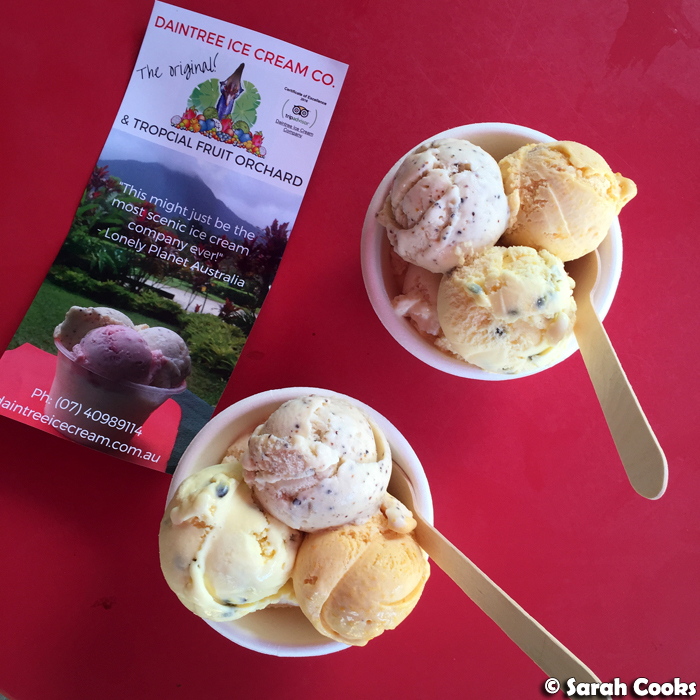 The tour includes an optional stop at the Daintree Ice-Cream Company. It was funny, when we were getting close, our tour guide said: "Would anyone be interested in stopping off for ice-cream? ", and both me and another lady yelled out at the same time: "YES!" 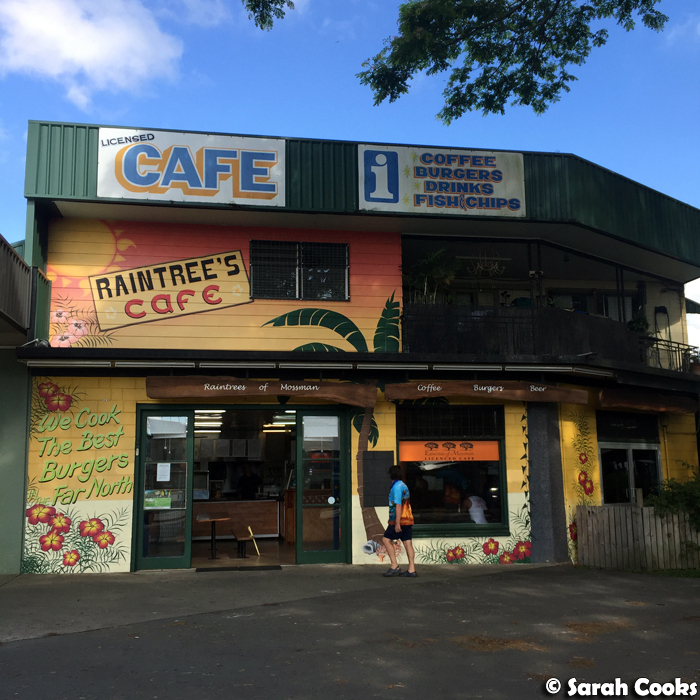 Located within the Daintree rainforest itself, the Daintree Ice-Cream Company includes an organic fruit orchard, tropical garden, and the ice-cream shop itself. 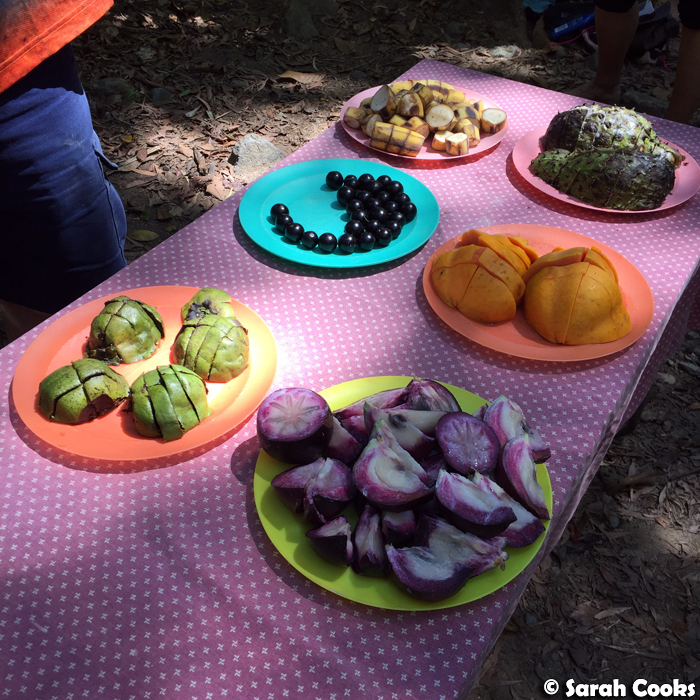 They make unique local flavours using the tropical fruit from their orchard. 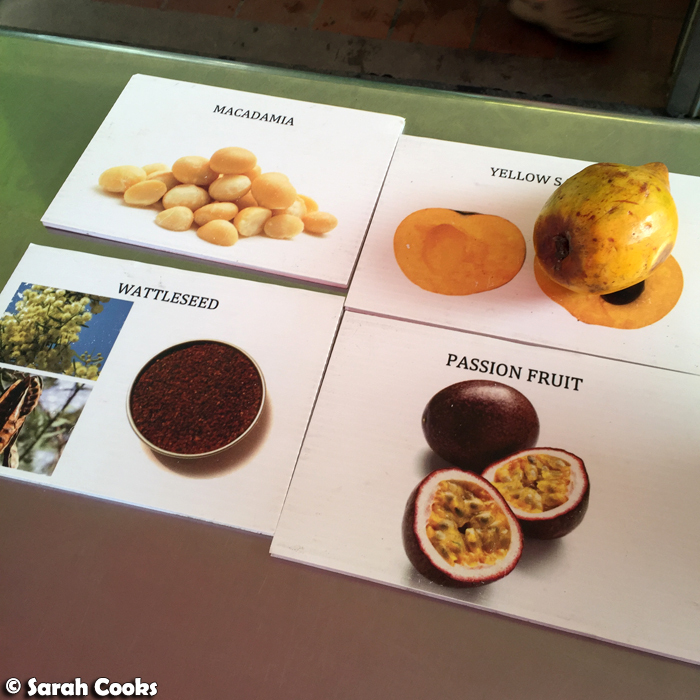 When we visited, they had macadamia, yellow sapote, wattleseed and passionfruit. I'm pleased to say that the unusual tropical flavours weren't just a gimmick - the ice-cream was really, really good! All were creamy with very pure, distinct flavours. 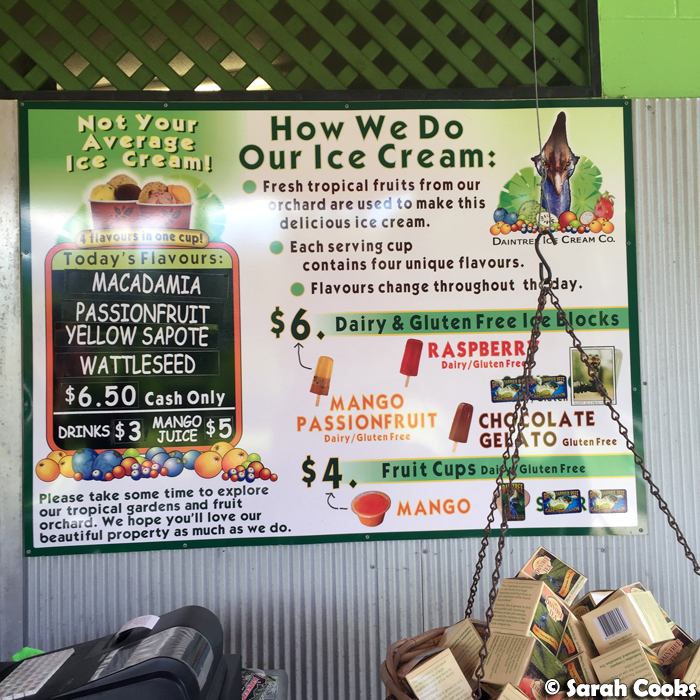 The wattleseed had a great toasty flavour (kinda like coffee), but my favourite was the macadamia. So delicious! It was a generous serving, but I savoured every last spoonful. Sandra also made a great Go-Pro video from the day. Please enjoy! 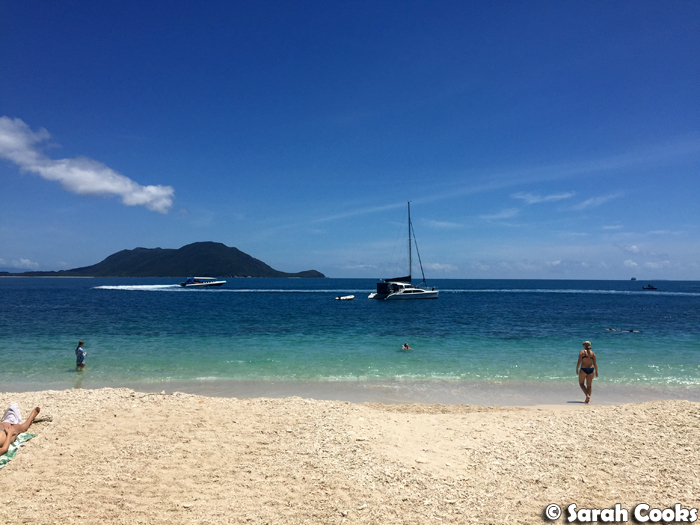 On the final day of our trip, we went to Fitzroy Island. 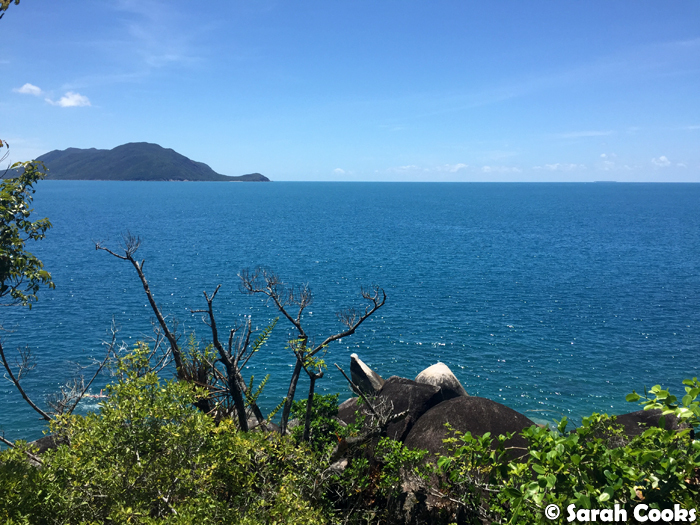 Fitzroy Island is an incredibly beautiful island, with rainforest and its own coral reef system. 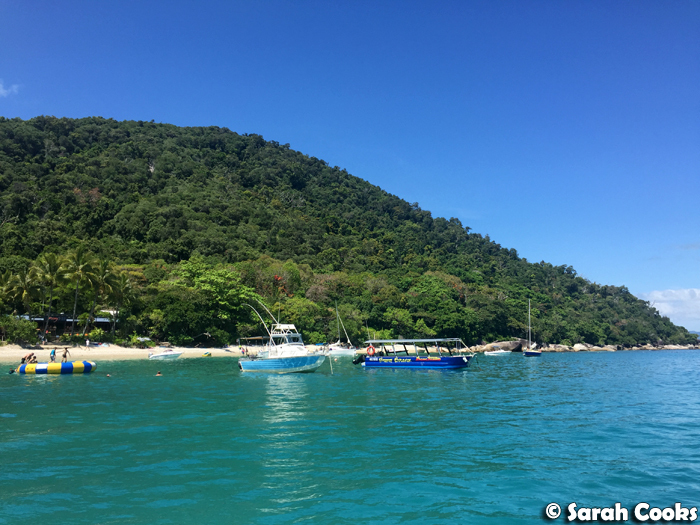 For daytrippers, there are lots of activities that you can do - snorkelling, paddle boarding, hiking and so on - but we used it as a chill day! 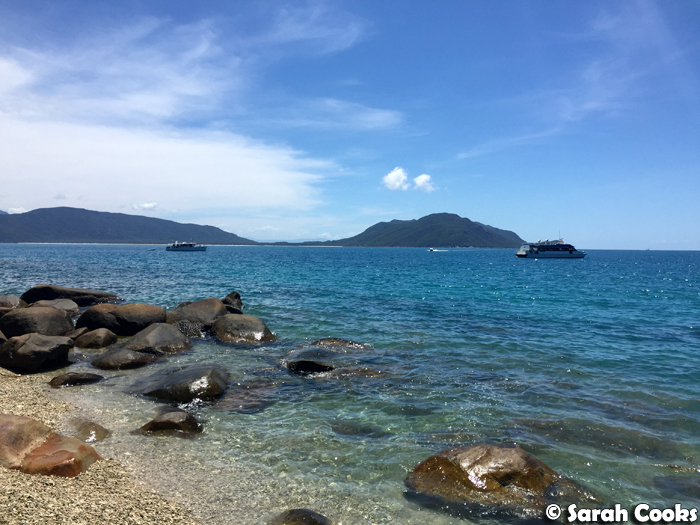 There are a few different options for getting to Fitzroy Island - we took the high-speed Thunderbolt, which goes at eighty kilometres per hour (you will get wet), and only takes thirty minutes from the Cairns Reef Fleet Terminal. It also turned out to be the party boat, playing AC/DC and The Offspring at maximum volume as we pulled out of Cairns. 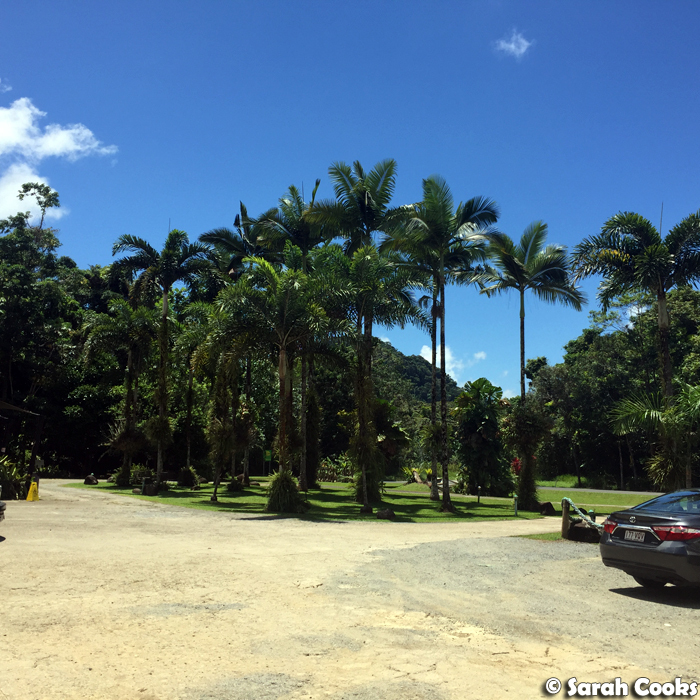 That was our trip to Cairns! It's a really gorgeous and special part of the world, and is so different from the south. I'm so glad we visited! 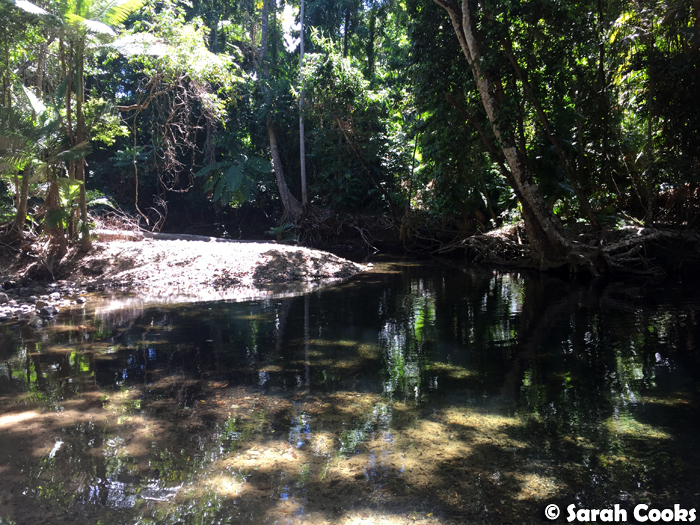 Have you visited Cairns or Far North Queensland before? Do you have any recommendations for fun things to do or great things to see? Hit me up in the comments! 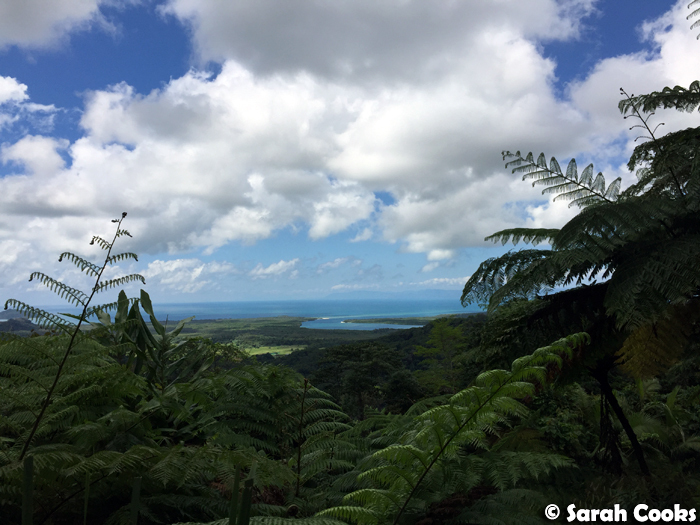 Cairns is lovely as you've shown! All that delicious tropical fruit too! :D My mouth started watering! Have never been that far north but it looks beautiful. 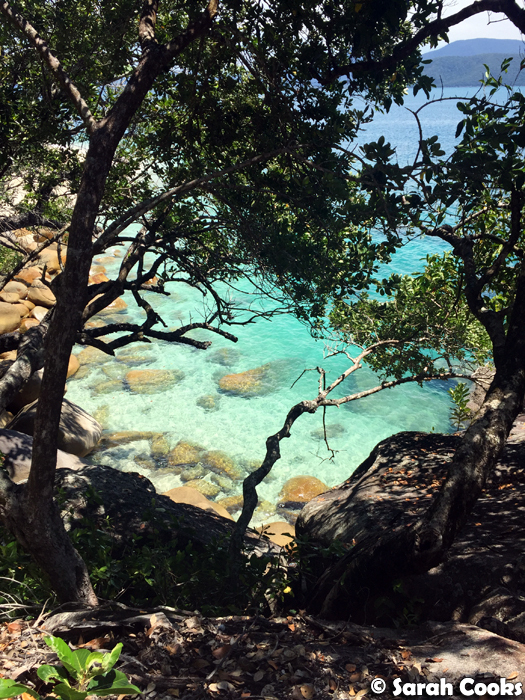 Fitzroy Island looks amazing! What a great way to escape the grand final, hehe! I have happy memories of that icecream stop too.